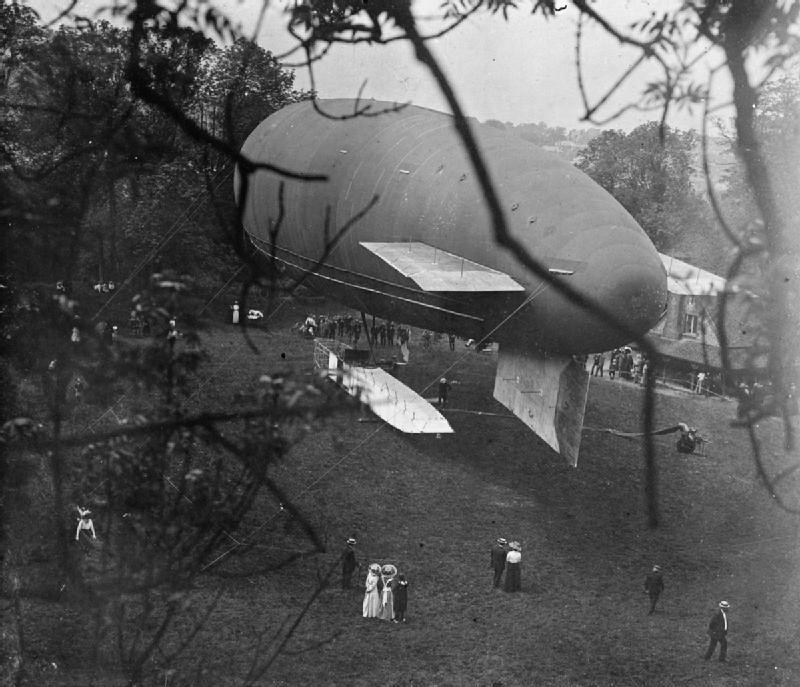 The Gamma was an early British airship (first introduced in February 1910) designed to be tested for military use with the fledgling Royal Air Service. It was approximately 5th in a series of early test airships in the early 1900's and served admirably to provide new designs and operational capability! From British Airships 1905-30, by Ian Castle: "By June 1910, Gamma had a new car fitted with a shorter framework, 21 ft long and 16 ft wide; the forward and aft elevators were replaced with a box-like tail plane, and the inflated fins with fixed types..., it became known as the Gamma II, able to carry six people - crew and passengers (although nine were carried at the 1912 army maneuvers) - as well as wireless equipment and enough fuel for an eight-hour journey." Only after at least two changes of the Gamma's envelope and many other changes did she become the "Gamma II" being first called so in the media in September, 1912, after being fitted with its larger, 101,000 cu ft envelope. Suffice it to say, the Gamma was a "trail blazer" for British airships from 1910 to 1914. 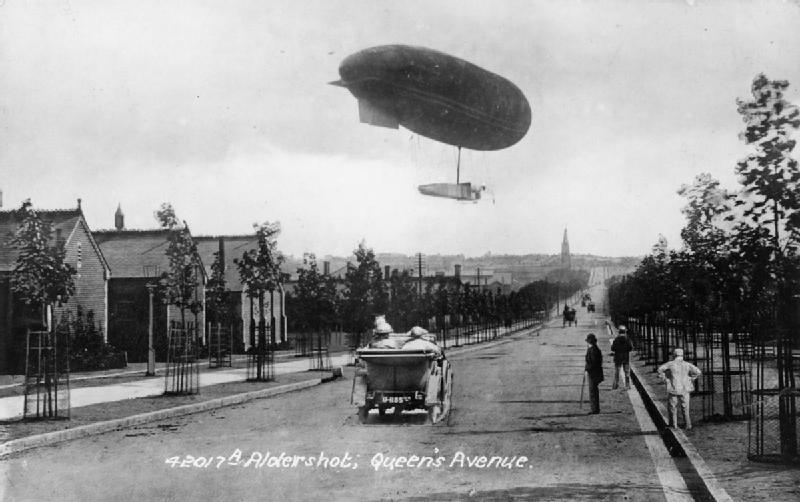 She underwent many modifications and improvements in her 4 years of operation, and had proven herself a capable vehicle, and provided many design improvements to later airships (the Delta and Eta for example) by the time she, and the other active airships of the Royal Air Service were suddenly turned over to the Royal Navy on 1 Jan, 1914. 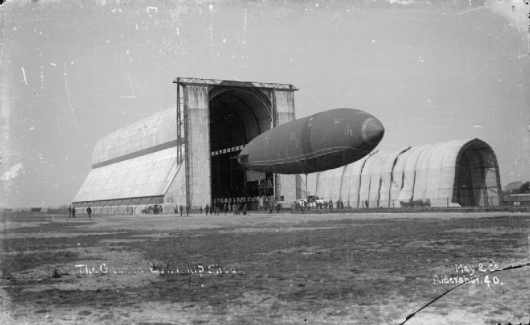 The Gamma which first flew in February 1910, and was subsequently redesigned and reflown as the Gamma II in the latter part of 1912 was ultimately handed over to the British Navy in January 1914 after an abrupt cessation of airship activity by the British Army. The Gamma II became the "No. 18" Naval airship,but at the start of the War in August, 1914, she lay deflated in a shed at Farnborough. (Whale, pg 93). 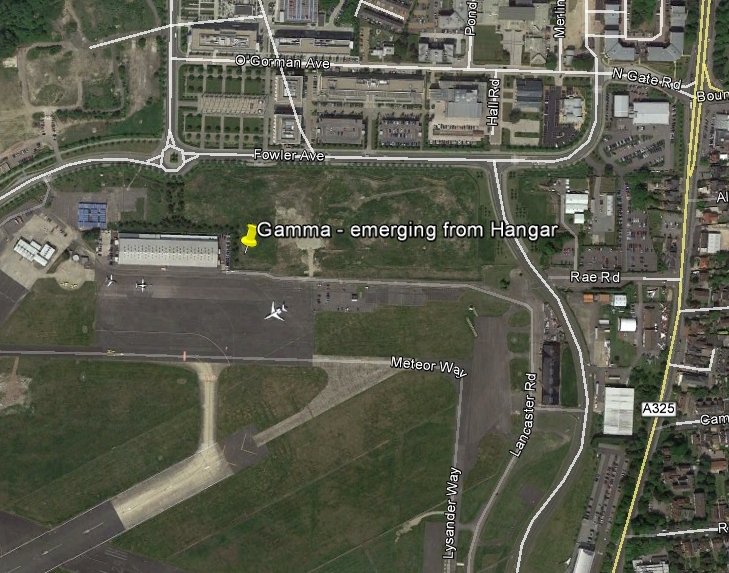 I was unable to find any precise details the ultimate fate of the Gamma II, but apparently she did not crash. 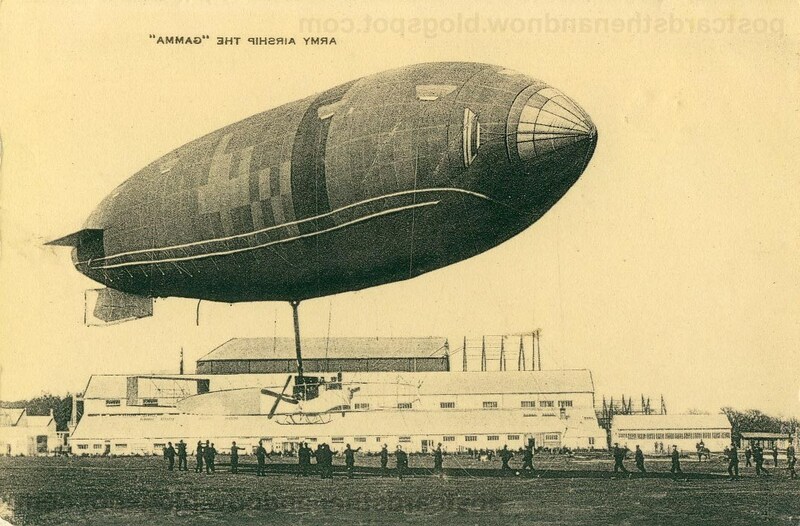 It is known, however, that airships were making rapid progress in 1914-1915, and what with a war now going on, it would not be surprising if the Gamma was ultimately simply hangared, and disassembled having succumbed to obsolescence. 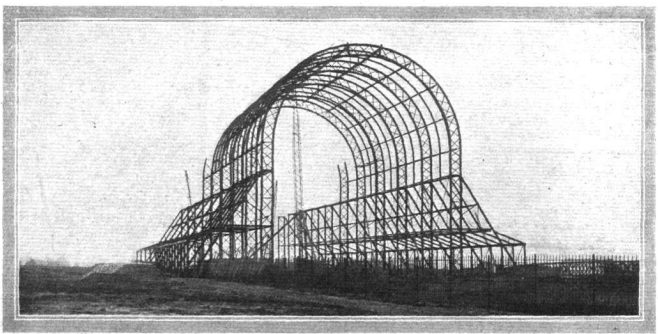 Whale, 1919, page 93, reports that the Gamma, at the onset of WW I (August 1914), lay deflated at Farnborough (now a Naval air station). This matches the last evidence I could find of the Gamma in operations. The 24 July 1914 issue of "Flight" magazine, page 792, has a photo of the Gamma in-flight "on its way to Portsmouth". (That year, Portsmouth was becoming a base for the Military Wing of the Royal Flying Corps.) 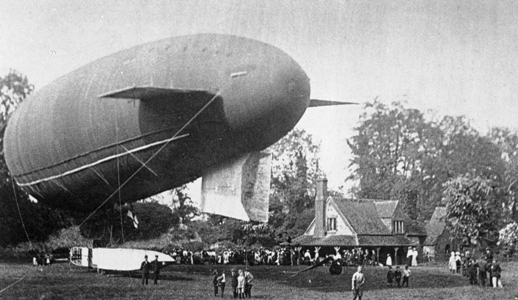 Whale additionally reports that in January 1915, the Gamma was inflated for mooring experiments. After that, there is no record of the Gamma. Presumably, with her components aging, and her mission obsolete, she was set aside and ultimately dismantled. (Note: Compare these two photos above. In the 1st, which dates from February, 1910, there are clear distinctions. She was officially called "Dirigible No. IIA", though spectators called her the "Yellow Peril" due to the bright color of its envelope (see "Flight" magazine, 19 Feb, 1910). This "original" Gamma had inflatable tail components and a "fore and aft" horizontal elevator and a rudder on the mainframe of the "car". Note the absence of fixed tail planes on the envelope in the original version. In the second photo which dates from ~Apr-May 1912, the inflatable tail pods are replaced by fixed tail segments, the fore & aft elevators are gone, the framework is largely covered with fabric, there is a "skid" added beneath the engine section of the framework, and the "rudder" at the aft of the framework has been replaced with a "box" rudder assembly.) By the time of the latter photo, the envelope itself was replaced between, as the first envelope was reported as "leaky" (see "Flight" magazine, 29 October, 1910). The above image is centered on Lat 51.269905o N Lon 0.751029o W.
The building in the foreground of the shot of the Gamma over Queen's Avenue in Aldershot is one-in-the-same today the Aldershot Military Museum! This makes the shot of the Gamma taken over 100 years ago from fairly precisely here: Lat 51.270148o N Lon 0.750853o W. (Click here to View in Google Maps). There is no question the Aldershot Military Museum is the same building complex as seen in the early 1900's shot of the Gamma! I found this to be an exciting identification! 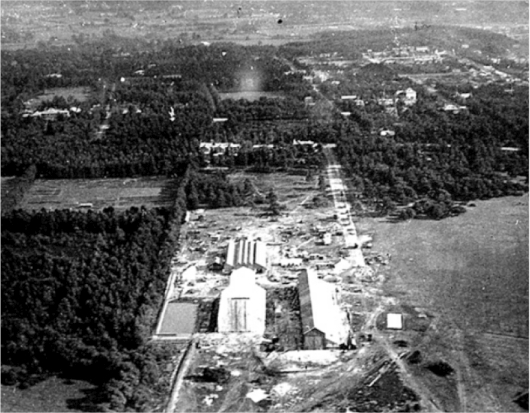 The Gamma was designed and built at the Farnborough "Balloon Factory" which had become the home of British Airship activity when the factory was moved there from Aldershot in 1906. Photo credits: FAST Briefing No. 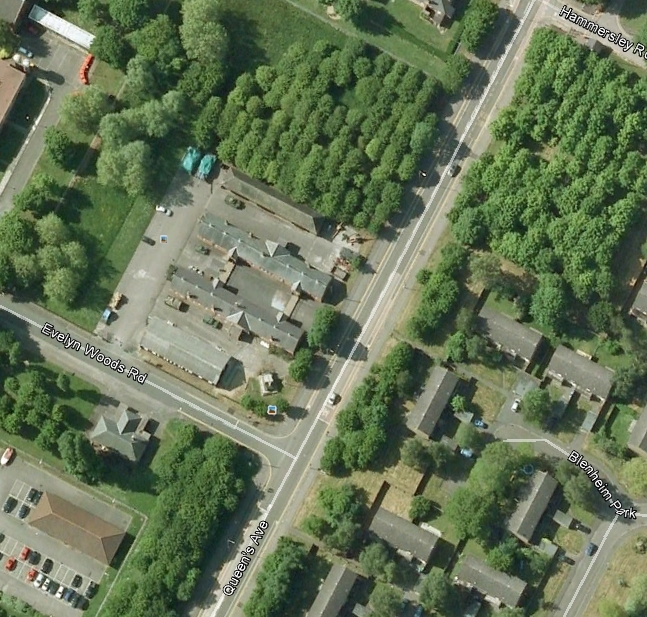 7, pg 3, airsciences.org.uk. 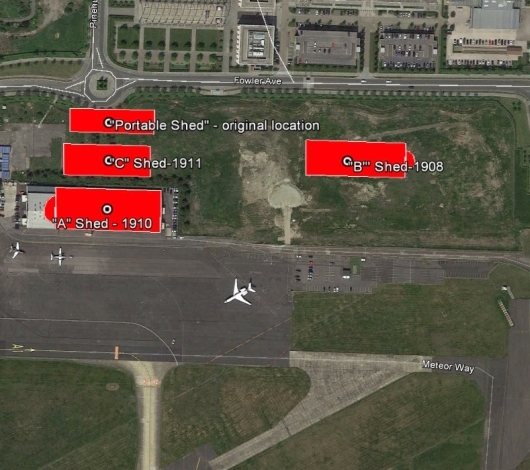 The map-pin is at Lat 51.283170o N, Lon 000.760756o W.
I may not have the sheds properly identified as the only shed I could identify by name was the 'B' shed. 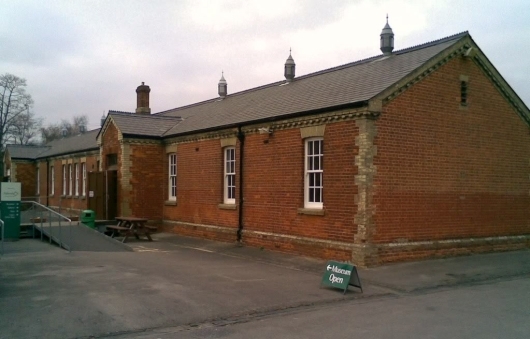 It was built first, in approximately 1906-08, and later doubled in length approximately in 1910-1912. 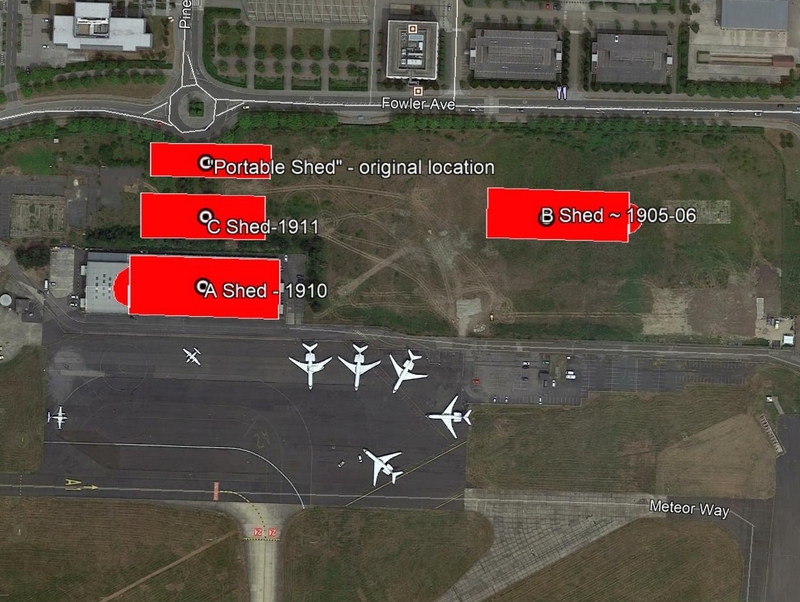 I also may be a few feet off in any direction for each of the sheds, but in general, they are correctly placed. 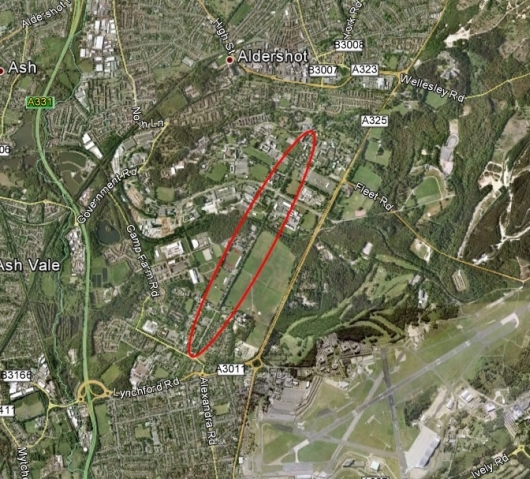 Someone today could stand at the traffic circle at Fowler Ave and Pinehurst Rd and, looking south, know they are viewing the exact area where, over 100 years ago, major airship activity took place! 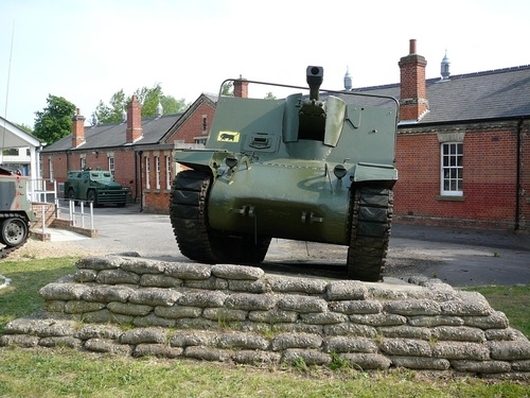 Photo credit: Berkhamsted Castle website, http://www.hertfordshire-genealogy.co.uk/data/places/places-b/berkhamsted/berkhamsted-castle.htm#dacorum-memory-berkhamsted-castle-airship-gamma. Photo credit: IWM (RAE-O 752), http://www.iwm.org.uk/collections/item/object/205192786. 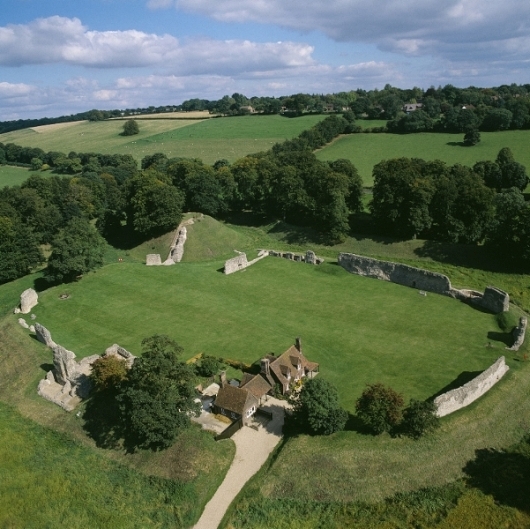 Photo credit: English Heritage, http://www.english-heritage.org.uk/daysout/properties/berkhamsted-castle/.